James Leonard Craft booking photo: Source: Etowah County Sheriff's Office. BULLETIN: The cavalcade of senior citizens implicated in alleged securities schemes continues. James Leonard Craft has been taken from a jail cell in Florida and placed in one in Alabama to answer felony charges that he was at the helm of a securities swindle. 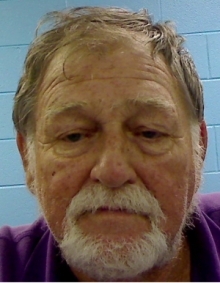 Craft, 71, of Milton, Fla., originally was arrested in Florida Sept. 23 on an out-of-state fugitive warrant. He was held at a Santa Rosa County detention facility until yesterday, when he was transported to Etowah County Jail in Alabama to face charges. Bond was set at $30,000, according to records. In October 2010, the Alabama Securities Commission (ASC) named Craft in a cease-and-desist order. The agency alleged that Craft, beginning in 2008, was selling unregistered securities for a purported lumber business that produced or sold railroad ties. The securities were offered through LLCs known as Universal Wood Products LLC, Century Lumber and Land LLC and Milton Timber LLC, according to the ASC order. An Alabama resident told investigators he was introduced to the opportunity by a “business associate and missionary residing in Tennessee,” according to ASC records. Whether ASC suspects affinity fraud was not immediately clear. NorthEscambia.com is reporting that Craft was part of an October 2010 ribbon-cutting ceremony for an upstart business that the struggling Florida small town of Century expected would create 500 jobs. Those jobs never materialized, the site reported. More than 3,000 applications for employment were received. Alabama investors directed at least $180,000 to a promissory-notes scheme involving Craft, according to ASC. Precisely how the Craft case had morphed into a criminal prosecution was not immediately clear today. Etowah County Jail records show that Craft is being held for another “agency,” but the name of the agency was not listed. In Alabama, county-level prosecutors and ASC work together on securities cases. The emerging Craft case has bizarre coincidences and parallels to the AdSurfDaily case. ASD was operated by Andy Bowdoin, a senior citizen in the small Florida town of Quincy, which is situated in Gadsden County. Craft, himself a senior citizen, also operated from a small town in Florida. 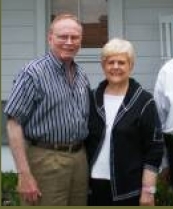 By coincidence, the jail in which he’s currently lodged is in Gadsden, Ala.
Andy and Faye Bowdoin at a July 2008 Chamber of Commerce photo op. The small town of Quincy was pleased that ASD had created jobs, but the ASD story took a sour turn when the U.S. Secret Service accused Andy Bowdoin of operating an international Ponzi swindle a month after this photo was taken. Some ASD employees were getting paid in "ad packs," according to court records. In the case of ASD, the Gadsden County Chamber of Commerce announced in 2008 it was pleased that ASD had made its home in Quincy and was creating jobs. The Century Area Chamber of Commerce appears to have felt the same way about the Craft-related firms. The NorthEscambia.com story linked to above shows a Chamber banner at the Craft ribbon-cutting ceremony. Craft appears in the photo alongside people who appear to be genuinely pleased and proud that a jobs-creator had come to the small town. Like Craft, ASD’s Andy Bowdoin was implicated in an Alabama securities swindle. Bowdoin’s Alabama caper occurred in the 1990s, according to records.